Are you preparing to move? Here at Green Van Lines, we’re proud to offer excellent moving and packing services to our beloved Farmers Branch community. In addition, our rates at Green Van Lines are affordable and always up-front. It’s important to us that you have a clear and accurate idea of the cost of our services. We also pride ourselves on always being timely, consistent, and ready to do our best work, no matter the nature of the job. When you utilize Green Van Lines, you’ll reap the benefits that come from hiring our local movers in Farmers Branch. We serve entire Farmers Branch, TX 75006, 75234, 75244, 75254, 75358, 75381. Green Van Lines is a full-service moving and packing company that has been serving the Famers Branch community for years. Our local movers in Farmers Branch have years of training and experience under their belts. Nobody likes to pack up and move, but long distance moving is particularly challenging. If you’re preparing to move across the country or even internationally, Green Van Lines is here for you. Our Farmers Branch movers can tackle any job at any time. Transporting your vehicle is easy when you partner with Green Van Lines. Our auto transport team will ensure that your vehicle makes it safely to your next destination – we guarantee it. 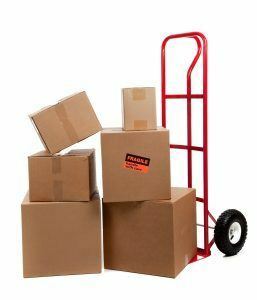 Are you moving your commercial business? Here at Green Van Lines, we can successfully handle all your industrial and commercial moving needs. Our movers in Farmers Branch are here for you! Let us take over planning your move, transporting your belongings, and ensuring all your goods make it safely to your destination. Relocating doesn’t need to be stressful – utilize Green Van Lines! Our movers in Farmers Branch are corporate relocation experts. We offer the best of the best when it comes to corporate relocation services. Come by and see us in Farmers Branch – we’re always happy to talk with you and answer your questions. This quaint suburb of Dallas, TX is well known for its schools and thriving population. Green Van Lines has been serving the community of Farmers Branch for years – we’re proud to do so. The team was professional and efficient! They made the stress of moving less stressful because of this.